The SAP is a well-known name of Germany based company and ABAP (Advanced Business Application Programming language) for SAP products was used before without any problem for SAP suits but with the introduction of HANA by SAP the ABAP developer work needs advance skill. HANA platform can do multimodel data processing very fast. So learning HANA will make you ready for changes in futuristic scenarios of technology too. Code customization is needed when upgrading from simple ABAP to HANA but this is not the only reason, even for performance optimization on HANA one need to learn and practice latest development for that also his course is very helpful. If your company too grows and does acquisitions SAP HANA migration will become obvious choice so SAP ABAP developer will be required too. Aspire Techsoft Pvt. Ltd. provides Online SAP S/4 ABAP ON HANA training. 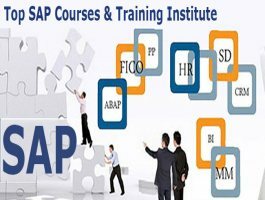 We have expert faculties and all the required software, tools and study resources to deliver best Online SAP S/4 ABAP ON HANA training experience.